Exciting times! Toys n’Playthings have featured a two-page profile spread on me in this month’s issue. Please click on the logo below to download the full article. 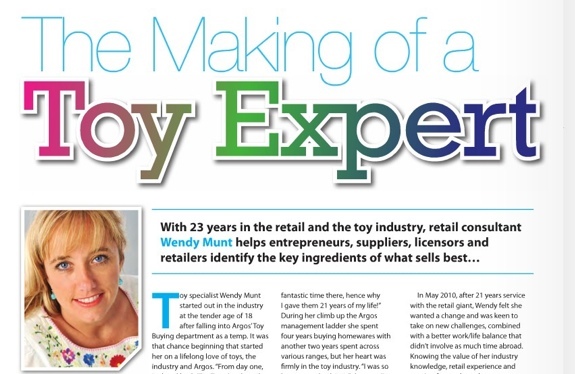 Read Wendy’s tips on ‘How To Impress A Buyer‘ in the latest edition of Toys n’ Playthings. Read about ‘The Power of Licensed Products‘, Wendy’s latest article in Toys n’ Playthings. How To Spot The Next Big Thing!